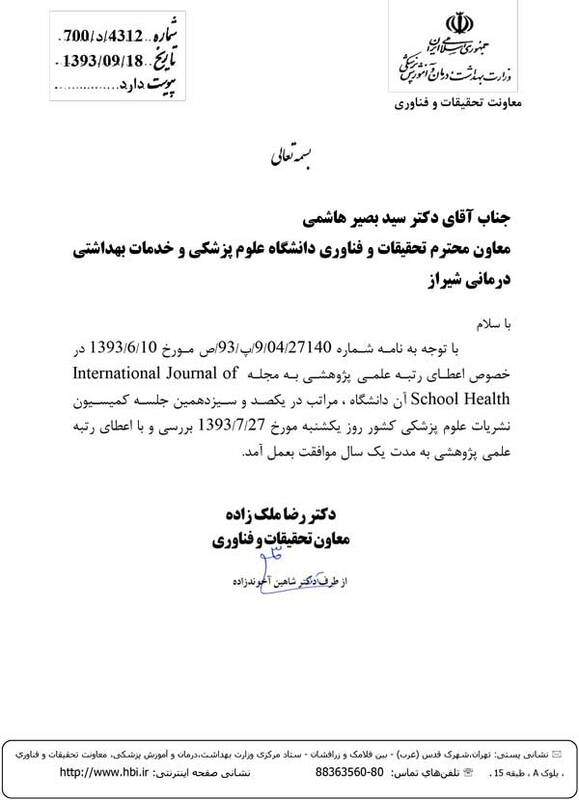 Publishing Approval Minister's deputy office of Ministry of Health and Medical Education according to certificate number 700/1270 on 8 July 2013 as an international quarterly medical journal and on 02 March 2015 to certificate number 93/30002 as publishing approval. 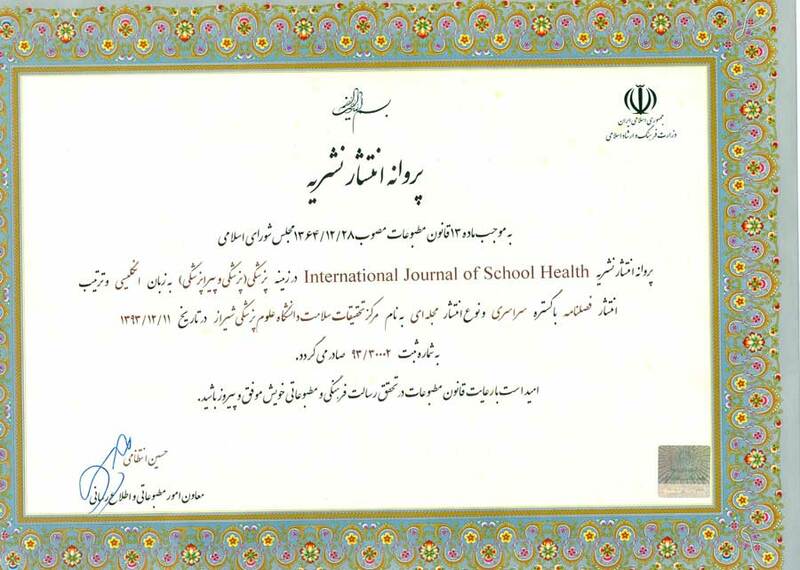 Aim & Scope International Journal of School Health (IJSH) is aimed at promoting scientific communication among medical and public health investigators worldwide. IJSH, which benefits from an international editorial board, is published quarterly by Health Policy Research Center. Contents include peer-reviewed research papers covering different aspects of public health, and health policy; critical reviews, commentaries on controversial issues in school and school-age children’s health and case reports. IJSH publishes original clinical research articles, short communications, review articles, editorials, letters to the editor, and case reports. Contributions in any of these formats are invited for editorial consideration following peer review by at least three experts in the field. Content Coverage Contents include peer-reviewed research papers covering different aspects of public health, and health policy; critical reviews, commentaries on controversial issues in school and school-age children’s health and case reports.